[S449] Augustine Page, History of Suffolk, p. 729. [S34] Unverified internet information, http://www.stedmundsbury.anglican.org/pakenham/history.html (April 2008). Frazier R. Ditmars married Emma J. Douty. [S232] Ancestry.com, New York Passenger Lists, 1820-1957. 4 April 1937, Siboney. [S231] 1930 US Census, Commercial, Cumberland, New Jersey. [S206] 1920 US Census, Bridgeton Ward 4, Cumberland, New Jersey. [S18] Various editors, Biographical Dictionary of Notable Americans, Vol. 5 p. 319. Florence Emily Doan was born circa 1860.2 She married William Torrance Fraser, son of Alexander Fraser and Mary Mead Torrance, on 17 May 1884 in Aurora, York, Ontario. [S340] Alfred Adler Doane, The Doane family, p. 155. [S89] Family Search, Vital records of Petersham, Massachusetts, to the end of the year 1849. [S232] Ancestry.com, Quebec Vital and Church Records (Drouin Collection), 1621-1967. Sillery (Church of England), 1897. [S460] MI, "Dobell, Mount Hermon, Sillery, Quebec." [S49] CWGC, VII. E. 10. [S232] Ancestry.com, Quebec Vital and Church Records (Drouin Collection), 1621-1967. Montréal (Unitarian Messiah), 1926. [S232] Ancestry.com, Quebec Vital and Church Records (Drouin Collection), 1621-1967. Sillery (Church of England), 1898. The Hon. R. R. Dobell, member of the Privy Council of Canada, who had been staying for a week at Folkestone, was out riding on Saturday with his son-ln-law, Major Hull. They were returning from Hythe, and when near Seabrook Mr. Dobell’s horse was startled and the rider was thrown heavily to the ground, death being practically instantaneous. Mr. Dobell was born in Liverpool in 1837, and at the age of 20 emigrated to Canada to embark in the lumber trade. In conjunction with his brother-in-law, Mr. Thomas Beckett, he founded the firm of R. R. Dobell and Co., Quebec, one of the largest establishments of the kind in Canada. Besides attending to the business of his firm, of which he was the head, he took an active interest in public affairs, and was elected to the presidency of the Quebec Board of Trade, and was subsequently appointed one of the Harbour Commissioners for that city. 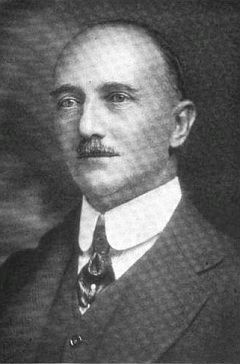 Mr. Dobell was instrumental in promoting the adoption of the cold storage principle in Transatlantic steamers, and was president of the Cold Storage Company of Quebec. He was also a director of the Quebec Railway Bridge Company. He attended as a delegate the Congress of the Chambers of Commerce of the Empire hold in London in 1892, and also the subsequent congress of 1896. Between the dates of those two congresses he went to Cape Town, and addressed meetings there in behalf of the commercial interests of Canada. In 1895 he contested Quebec West for the Canadian House of Commons as an Independent candidate, losing the election on a recount; but at the general election in the following year, when he stood as the regular candidate of the Liberal Opposition, he was returned by a substantial majority. On the formation of the Laurier Cabinet, July, 1896, he was appointed a member of the Government without portfolio. For many years Mr. Dobell was a prominent supporter of the cause of Imperial federation, and he assisted Lord Rosebery in founding the British Empire League. He was strongly in favour of tariff reform, of inter-colonial trade, and also of fair reciprocal trade with the United States, and throughout he was an advocate of preferential trade with Great Britain. [S232] Ancestry.com, Quebec Vital and Church Records (Drouin Collection), 1621-1967. Sillery (Church of England), 1869. [S117] The Times Newspaper, 13 January 1902. [S232] Ancestry.com, British Columbia, Canada, Death Index, 1872-1990 a. [S232] Ancestry.com, Quebec Vital and Church Records (Drouin Collection), 1621-1967. Sillery (Church of England), 1900. William Molson Dobell was born on 8 August 1867 in Québec.1,2 He was the son of Rt. Hon. Richard Reid Dobell and Elizabeth Frances Macpherson.2 William Molson Dobell married Constance May Sewell, daughter of Dr. Charles Colin Sewell and Helen Amelia Webster, on 7 December 1895 in Holy Trinity Church, Québec.3 William Molson Dobell died on 24 June 1953 in his home, Cacouna, at the age of 85.2 Mr. Dobell was educated at the Charterhouse School, Surrey, England. On the completion of his school studies, in 1886, he entered the employ of the firm of Dobell, Beckett & Company, a concern which was founded by his father in the year 1856 and carries on an extensive business in the exportation of timber and lumber to Great Britain and Europe. Always bringing to bear on the solution of difficult commercial and financial problems keen insight and ready discrimination, he was admitted a partner of the firm in 1895. On the death of his father in 1902, he took the leading part in the management of the firm, in which capacity he continued until 1907, when he retired from the business. Mr. Dobell stands for reform, advancement and improvement in all matters pertaining to the welfare of the city of Quebec and of the Province. He has always exhibited a keen interest in shipping matters, and for the last five years has been a member of the Quebec Harbor Commissioners, having been elected to represent those interests. He is also a School Commissioner and a member of the Council of the municipality of St. Colomba of Sillery, near Quebec, where he resides, both of which offices he has held for several years. He also served for several years as an officer in the Eighth Royal Rifles, of Quebec, and retired with the rank of Captain. In religious faith he is an Anglican. [S232] Ancestry.com, Québec (Anglican) (Québec (Anglican Cathedral Holy Trinity church)), 1895. [S232] Ancestry.com, Quebec Vital and Church Records (Drouin Collection), 1621-1967. Vaudreuil (Anglican, Hudson Heigths Como), 1869. [S225] 1911 Canadian Census, Quebec. Montreal St Antoine, Sub-District 37 - St Antoine Ward. [S232] Ancestry.com, Quebec Vital and Church Records (Drouin Collection), 1621-1967. Coteau-du-Lac (Anglican Saint Lawrence), 1838. [S232] Ancestry.com, Quebec Vital and Church Records (Drouin Collection), 1621-1967. Vaudreuil (Anglican, Hudson Heigths Como), 1870. [S232] Ancestry.com, Quebec Vital and Church Records (Drouin Collection), 1621-1967. Vaudreuil (Anglican, Hudson Heigths Como), 1873. John Stevens Dodd was born on 3 October 1880 in Illinois.1 He married Annie Bell Sewall, daughter of James Lloyd Sewall and Georgia Oliver.1 John Stevens Dodd died probably circa 1920. [S206] 1920 US Census, Arkansas, Hot Spring, Midway, District 0110. [S205] Newspaper, The Charlotte Observer, 22 July 2015. [S392] Website findagrave.com (http://www.findagrave.com/) "# 18945577." [S392] Website findagrave.com (http://www.findagrave.com/) "# 83986055." [S365] Eben Graves, The descendants of Henry Sewall. Vol. II (Unpublished), p. 233.